It’s been awhile since we’ve heard much from WikiLeaks. New leaked data continues to trickle out here and there and Julian Assange is even talking to the press, but major bombshells like the Iraq War Logs or Cablegate haven’t been dropped since late 2010. Part of the relative silence has to do with the fact that Assange is currently under house arrest in the U.K. and WikiLeaks still faces a financial blockade and an ongoing investigation by the U.S. Justice Department. The future of the organization is anything but clear, but when it comes to the site’s ability to continue operating, they’re not taking any chances. WikiLeaks’ backers are now considering buying a boat so they can move their operations into international waters, according to a report from Fox News. The idea is to relocate WikiLeaks’ servers to somewhere that falls outside the jurisdiction of any country, such as the Principality of Sealand, a former World War II sea port located off the coast of England. The structure has been ruled to be outside of the U.K.’s jurisdiction and its self-proclaimed ruler has declared it an independent mini-state, even if no other nation recognizes it as such. The facility was once used to broadcast pirate radio signals and is currently used as a safe haven for Internet hosting. The idea emerges at a pivotal time both in WikiLeaks’ history and in the historical intersection of the Internet and the law. Two weeks ago, U.S. authorities succeeded in coordinating a cross-continent sting operation to arrest key executives behind Megaupload and shut its website down. Just today, the Swedish Supreme Court rejected the appeal of three Pirate Bay cofounders, who were convicted of copyright infringement-related crimes in 2009. Shortly thereafter, the Pirate Bay website started redirecting to a Swedish top level domain to avoid seizure by U.S. authorities. Of course, piracy and alleged espionage are two very different things, but in the last several weeks, we’ve seen the extent to which countries will go to prosecute those who once considered themselves immune due to geography. Assange and the WikiLeaks associates have little reason to not take the U.S. government’s pursuit of them seriously. 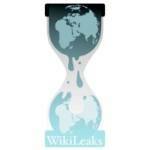 Whether or not moving WikiLeaks’ severs to international waters would make a difference is up for debate. Some have argued that as long as the people behind the organization are not also living in on some rusty old abandoned aircraft carrier in the middle of the ocean, they could be fair game for prosecutors. There are also logistical and technical challenges that come into play. The plans haven’t been officially confirmed by WikiLeaks or any of its representatives.